Home / Talking Points / Can the Titans Make Hayne Experiment Work? Can the Titans Make Hayne Experiment Work? When the Gold Coast Titans unveiled Jarryd Hayne as their new player, many viewed the signing as marking the end of a disastrous period in the club’s history and the start of a new era. Well, as we start the new NRL season, there is a feeling that rugby league’s prodigal son hasn’t resulted in the explosive impact expected when Hayne made his return to the sport. 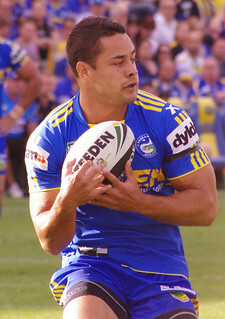 Having come within touching distance of having to fold as a business, the Titans’ top eight finish in 2016 has to be considered a success, but the signing of Hayne towards the end of the regular season didn’t result in quite the immediate charge towards the title Gold Coast fans hoped for. After walking away from rugby league at the end of 2014, Hayne went on to pursue his dream of playing in the NFL. A testament to his determination as a man and talent as an athlete, the former Australian and Fijian international managed to fulfil his dream, earning a contract with the San Francisco 49ers and going on to make eight appearances for the NFL outfit. Hayne’s American dream came to an end last year, with the 29-year old making a sensational return to the NRL after signing a lucrative two-year deal with the ambitious Titans. On the field, Hayne failed to really get going in the final weeks of the 2016 campaign, his only real contribution being a game-winning kick in the Titans’ 19-18 win against Wests Tigers. Off the field and it didn’t take long for rumours to emerge regarding the two-time Dally M Player of the Year winner’s relationship with the rest of the squad and management. But the new season has brought with it renewed optimism for the whole club, and while those visiting http://extra.bet365.com.au/NEWS/en/ will find the Titans with odds of around 30/1 to win the Grand Final, this isn’t a team that should be underestimated. As well as failing to pick up from where he’d left off in the NRL, Hayne’s plan to earn a place in Fiji’s Olympic gold-medal winning seven’s squad also went un-ticked. 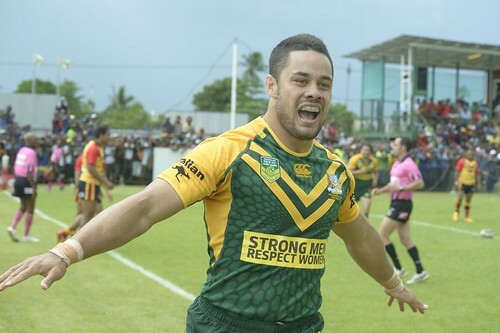 While the former Parramatta Eels back hasn’t revealed his plans beyond the end of his current deal with the Titans, there are some who believe Hayne is determined to establish himself in Fiji’s 15-man squad. The league star wouldn’t be short of offers if he did make the crossover, with clubs in France and Japan capable of offering significant sums to tempt Hayne to the northern hemisphere. Despite all the talk of discontent behind the scenes, there was little sign of any problems as Hayne made a very encouraging start to the new NRL season, scoring his first try for the club in the 18-32 loss to the Roosters. While Gold Coast failed to get the new campaign off to a winning start, the signs were very promising for their big money signing. As well as his well taken try, Hayne looked lively throughout, encouraging his team-mates and showing signs of his former self. If he can rediscover his pre-sabbatical form, Hayne and the Titans might feel this relationship could yet be a real success.